baking | Gee, Ya Think? A few weeks ago, my dear friend and roommate was dealt a shocking blow – she had developed a gluten allergy. No more pasta, no more bread, and, horror of all horrors, no more beer. It’s not uncommon for a person to develop a gluten allergy in his or her 20’s, but it means that there are a lot of lifestyle adjustments that need to be made as a result. Luckily, grocery stores and restaurants are well-equipped to serve gluten-free customers these days. Heck – Amazon even has an entire section on their site devoted to gluten-free grocery. That being said, in the past few weeks, we have learned that the gluten-free life does not equate to the end of the world. Enter soy flour. You won’t find soy flour in the baking aisle at your average grocery store. I had to track it down at our local Whole Foods. Whole Foods has a number of wheat and all purpose flour substitutes that can be used to create gluten-free dishes. With magical soy flour standing in for regular flour in the recipe, I created gluten-free White Russian cupcakes complete with Kahlua frosting. I topped them off with some festive red and green sprinkles and served them up at our little holiday get-together last Saturday. The delightful alcoholic pastries were enjoyed by gluten-free and non-gluten-free alike. Our first experiment in the world of gluten-free baking was a success! 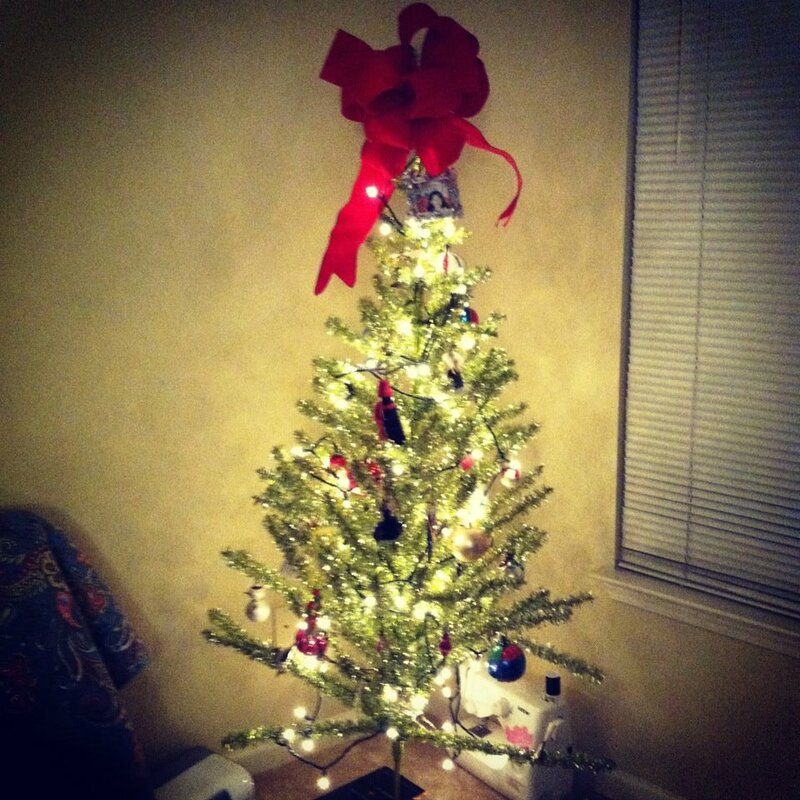 Fancy red ribbons, delicate lights, tacky sweaters, fresh pine trees…it is truly the most wonderful time of the year. Last night, my roommate Kelsey and I decided to share our cheerful holiday spirit by hosting a Christmas get-together at our apartment. We set up our little tree, hung up the mistletoe, and of course prepared an array of yummy treats. 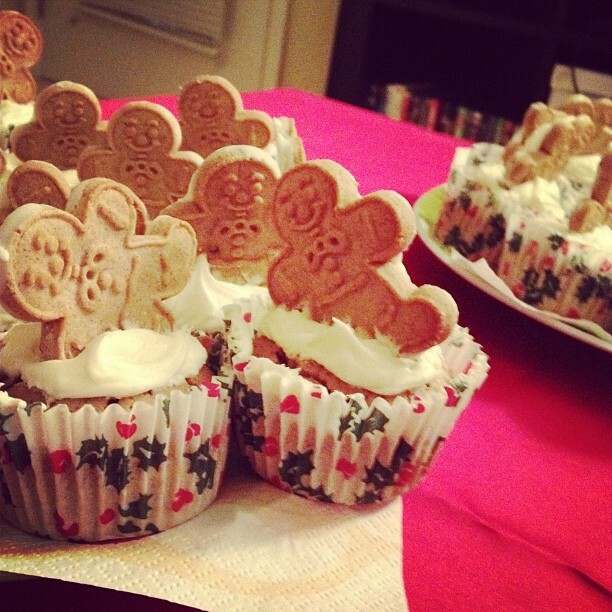 The stars of the evening were the “Drunken Gingerbread Men Cupcakes” prepared with a simple recipe from yummly.com. All you really have to do is prepare cupcakes with a box of spice cake mix and substitute rum for water. We decided to use spiced rum instead of water, and then added a bit of cinnamon for some extra flavor. I personally believe that cinnamon makes (almost) everything taste better. Garnish with mini gingerbread men in various stances and voila! These little guys might have to become a new Christmas tradition.